Here's a whole gallery with dozens of them here. This one was seen from orbit by the Mars Reconaissance Orbiter's cameras. NASA isn't sure what it is, but think that it's some kind of eroded volcanic feature. It can happen. The rover disturbance solely dislodges the rock to that spot without the latter causing a pebble or grain of anything else to tumble along with it, or produce disarranged features. "Swoosh! Hits nothing but net from downtown!" The smoothness suggests that the smooth surface is new, and there hasn't been time for it to have become scarred by erosion. So is this the surface of the Martian polar icecap, a surface that may or may not form and reform periodically as the cap grows and contracts with the Martian seasons? If so, then the weird formation may be indication of some sub-surface process, perhaps localized heating that melted the lower levels of ice in that spot. So is this evidence of still-active volcanism on Mars? Initially reminded me of a skull that had its top removed (i.e., the convolutions of brain tissue). Or perhaps the chunk that Hannibal Lecter removed from Krendler's pre-frontal cortex before feeding it to him. Obviously this is an air hole similar to that found in the Arctic ice. 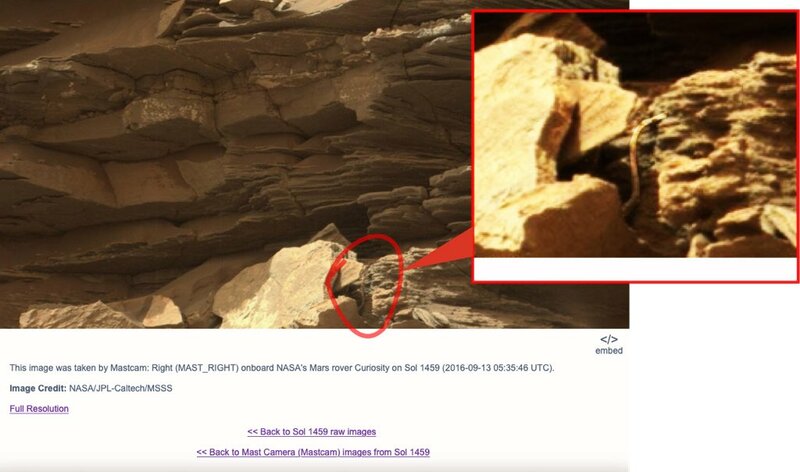 One can plainly see some large animals in it including a creature to left that looks very similar to a human (Bigfoot? )with both legs, torso and arm visible. The other shapes have a seal-like quality with, if you look real closely, two eyes and a nose on a head situated close to the centre. C'mon guys, it's Martians, what else could they be? (Sep 10, 2018 05:38 PM)Yazata Wrote: So is this evidence of still-active volcanism on Mars? Still active? No, but it may have been relatively recent. If you consider 1.25 million years ago relatively recent. They say that the Athabasca region contains some of the youngest flood lava on Mars. The evidence for recently flowing liquid water is less certain but some areas in this region suggest that it may have been as recent as 1.25 million years ago. I reckon its likely that very light and porous rocks could form on Mars that would easily crumble on Earth. Our sturdy rovers lasted much longer than expected. So its probably a very delicate environment compared to Earth. 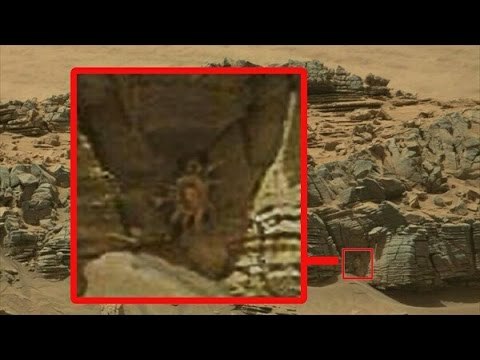 as I have seen quite a few examples of moving rocks on Mars.